Obtaining a business permit for Botswana is a complex process with little information available in terms of the requirements. However, as an investment destination Botswana can lay claim to many good reasons for investing and/or setting up a business and obtaining a business permit. The annual World Bank/IFC Doing Business report listed Botswana as 52nd out of 183 countries globally. This makes it 3rd in Africa behind South Africa (ranked 34) and Mauritius (ranked 20). Botswana has enjoyed one of the fastest growth rates in per capita income in the world since independence. in 2010 and as Africa’s least corrupt country placing it ahead of many European and Asian countries. Botswana has launched initiatives to promote economic activity and foreign investment into specific areas. These include agriculture, innovation, diamonds, education, health and transport. There are low corporate tax rates; for example, 15% for manufacturing enterprises. Botswana is actively seeking to diversify the economy away from diamonds into goods such as pharmaceuticals, textiles, clothing, and leather products, as well as services such as tourism, financial products, business process outsourcing, and research. 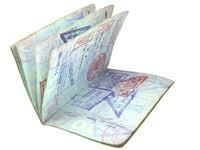 A certified copy of the detail page of the applicant’s passport. When applying for a business permit to invest into Botswana it is highly likely you will need to obtain a business licence for your business to operate. Obtaining such a licence will mean the local authority – City or Town Council – inspecting the business premises and verifying its suitability and health conditions specific to your company activity, as well producing the relevant business registration papers. * Business licensing can only take place after you have set up the appropriate business structure. Business permit applicants should be aware there are 3 options for setting up a business in Botswana. Company – It is its own a legal entity separate from that of its members with some legal powers to sue, or be sued, own property and make contracts. Business name – The owner is not separate from the business itself. This has less registration requirements compared to a company. A cooperative society – An autonomous association of persons who voluntarily come together to meet their common economic, social and cultural needs and aspirations through a jointly owned and democratically controlled enterprise. Registration for Corporate Income Tax with the Botswana United Revenue Services and obtaining the approval from the Commissioner of Taxes for the appointment of a public officer who is in charge of the tax return. Register for VAT with Director of Customs & Excise. Register employees for the work injury insurance.